Built on reviews from real people around the world, TripAdvisor shocked the industry when CEO Stephen Kaufer announced in September 2018 that the site would soon focus on professional published reviews. These reviews would be written by influencers who have a large following of their own, or who work at trusted publications, including National Geographic, Business Insider and the Travel Channel. Before, the homepage focused on the destination you would like to travel with a list of hotels, restaurants and things to do. Now, it's buzzing with activity as a social hub for travel inspiration. There are destination blogs, social media channels to follow and an opportunity to get personalised advice for your next trip. It gives the impression of an interactive travel blog, and is updated to match your personal profile. Why the drastic change? 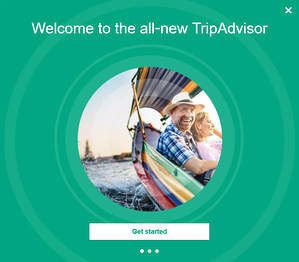 Well, TripAdvisor have altered their strategy to include not just those who are in a position to book, but any top of funnel visitors who are looking for inspiration before they have even decided their destination, time and budget. TripAdvisor have millions of visitors browsing their site each month but they are not converting via their advertising or booking partner links. 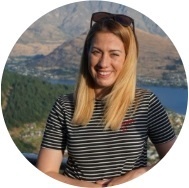 They hope that with this top of funnel approach, the potential customer will then hang around, revisit and book via TripAdvisor through the built trust. We like it! The redesign has been created to be engaging for travellers, which makes sense for TripAdvisor and their huge audience. We hope it will remain a useful tool for travellers during the research phase as appose to an eventual board of advertisement after advertisement. We will soon see! What's your impression? We'd love to know below! Would you like to gain better reviews?